Home / Jewish Life / Musical Shabbat Program for Families at WOW! Musical Shabbat Program for Families at WOW! Ellen Kowitt ‍‍January 17, 2011 - 12 Shevat 5771	Jewish Life Comments Off on Musical Shabbat Program for Families at WOW! Looking for a fun Jewish activity to do with your kids? 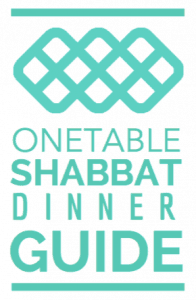 Try Shabbat Mishpacha on Saturday, January 22nd from 10 AM-noon at the WOW! Children’s Museum in Lafayette. Shabbat (“sha-baht”) refers to the Jewish sabbath celebrated and observed from sunset on Friday evening until the appearance of the first star on Saturday night. Mishpacha (“mish-pa-kha”) is a Yiddish or Hebrew word meaning family. Sponsored by Congregation Har HaShem, Shabbat Mishpacha is an innovative Saturday morning program followed by age-appropriate activities for children. Sing-along to guitar, play instruments, create art and more. Siblings of any age are welcome to attend. Admission is $5.50 per family at the door, or free with a WOW! Children’s Museum membership. This event is also free for qualified families registered at www.MazelTot.org. The WOW! Children’s Museum is located at 110 North Harrison Avenue in Lafayette, one block east of Public Road and one block south of Baseline Road. This program is geared for preschoolers through first graders and their families. Please RSVP with the number of children attending from your family by Friday, January 21st to shabbatmish@congregationharhashem.org or (303)499-7077 ext. 14.